Following on from the groundbreaking footage in Part 3, Part 4 concentrates on the carps reaction to PARTICLE BAITS. For the first time ever watch the carp feed and get caught on maggots, the feeding response they create is different to that of boilies alone. Follow Danny as he continues to look at new ways of fooling these very wary creatures in the clear waters of RMC's Blue Pool. Action comes from the first cast and no less than 9 carp are caught on camera from the moment they pick up the bait to rolling over the cord of the landing net, add to this lost fish, aborted takes and countless occasions when they sense something is wrong and avoid the rig. Plus, watch Danny falling in and being caught with his trousers down! Part 4 features more underwater footage than ever before and many detailed sections on how Danny puts his maggot and particle rigs together, including a totally new way of camouflaging the hook which will put more fish on the bank for you. 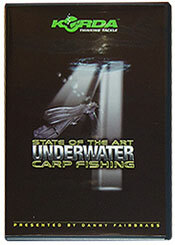 Part 3 continues the groundbreaking underwater footage in part1 that has amazed carp anglers wprldwide. Shot at RMC's aptly named "Blue Pool" in the south of England this film again concentrates on studying carp feeding on the lake bed from a fishes eye view. In footage that far exceeds that achieved in part 1, we are able to show how the carp feed on free baits and those connected to to a rig, and you will see carp actually hooking themselves on, and getting away with many of todays up to date rigs. Follow Korda's founder Danny Fairbrass as he moves through a host of presentations in order to achieve consistent action from these very cute clear water carp. Getting the first bite proved far more difficult than expected, Danny's problem solving mind is stretched to the limit which has in turn given carp anglers everywhere a far more informative film on how to fool wary carp. Danny recalls "Shooting and editing this film has made an immeasurable difference to my fishing and I challenge any carp angler alive not to learn from this footage. With a new super wide angle fish eye lens and a narrow angle close up we are able to cut from a view of the whole swim to just the rig allowing you to study the carp in its natural environment like never before." A unique all-natural, organically grown, herbal-based insect repellent. It does not contain any DEET, a controversial bug repellent used by most major brands. 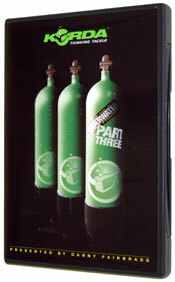 It is non-aerosol, non-greasy, and has a pleasant odor. Crocodile is even backed by a 100% satisfaction guarantee. (as mosquitoes will bite through clothing such as socks, jeans and t-shirts). Usage Warning: For external use only. Do not ingest or take internally. Avoid eyes. Discontinue if irritation occurs. 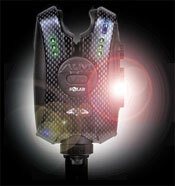 We have the great new SolarTronics alrams in stock! Using state of the art production methods Solar have created a range of bite alarms which follow Solar's innovative approach in their design. We have both the V8i ALM and V6i ALM models to suit your different needs in stock and you can find them in our online shop.